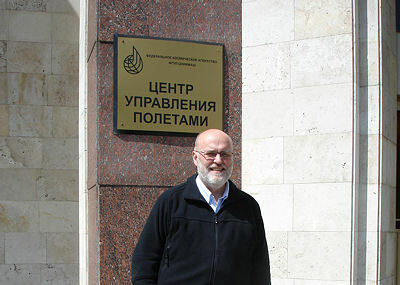 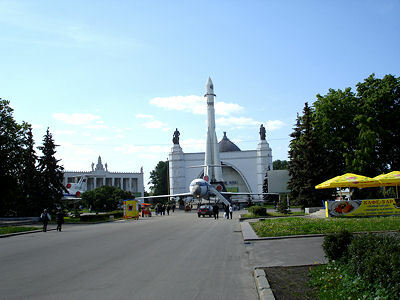 Some pictures from visits to space history attractions in the Moscow area 25 May- 1 June 2008. 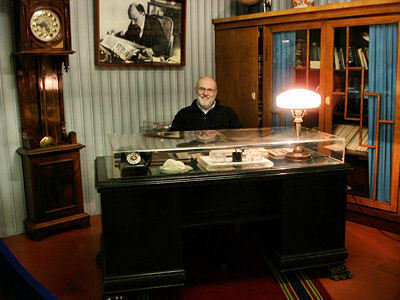 At Korolev's desk in the Energia Museum - I felt like taking big decisions! 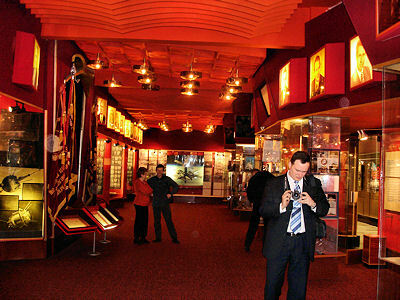 The Korolev memorial hall at the Energia museum - a shrine. 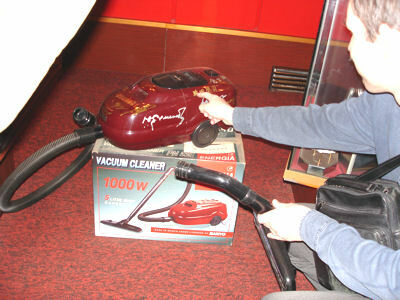 Energia started making vacuum cleaners in the 90's. 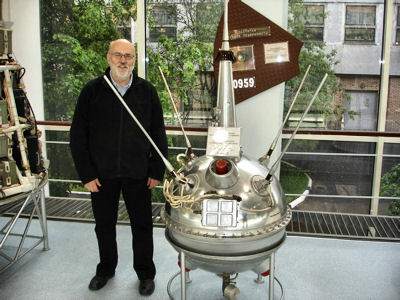 It was a big piece of hardware - Luna-2, not me! 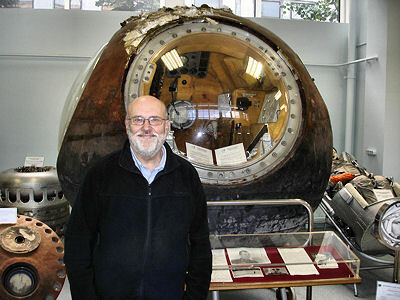 Gagarin's capsule - is there a more valuable space history artifact? 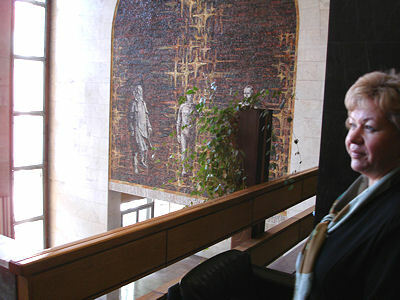 The Tsiolkovsky, Gagarin, Korolev mural in TsUP. 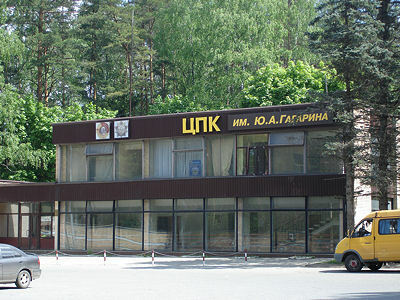 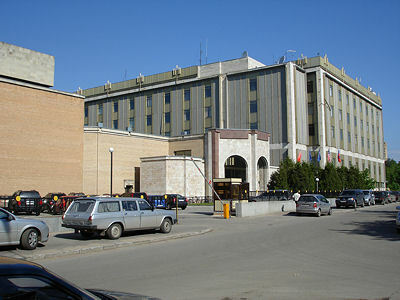 Entrance to the Gagarin Cosmonaut Training Center. 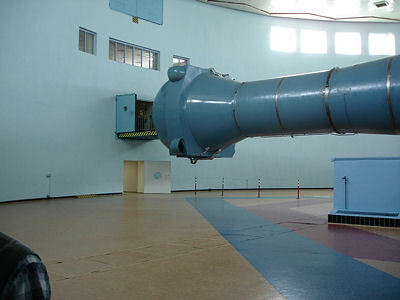 The Swedish-built 18-meter centrifuge at TsUP. 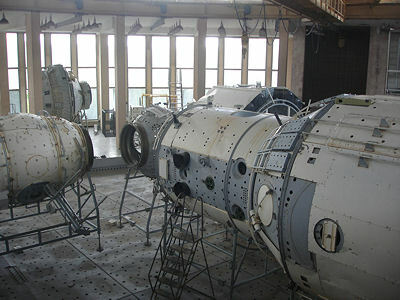 Full-scale ISS mock-ups for the underwater EVA tank at TsUP. 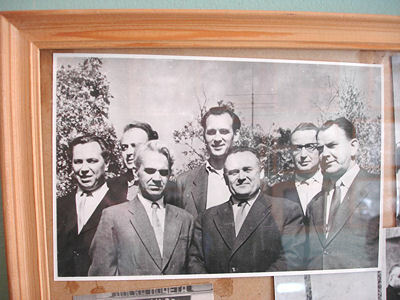 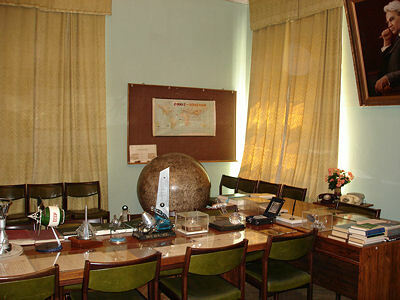 Mstislav Keldysh's office at the Academy of Sciences, now a museum. 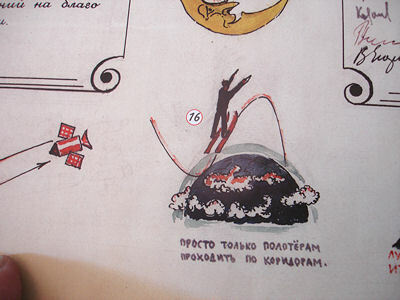 in this case the double-dip re-entry of the Zond spacecraft. 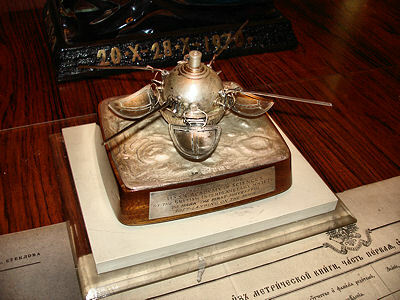 of the circumnavigation of the Moon by Luna-3. 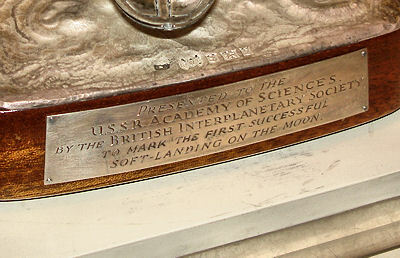 on the occasion of the first soft-landing on the Moon. 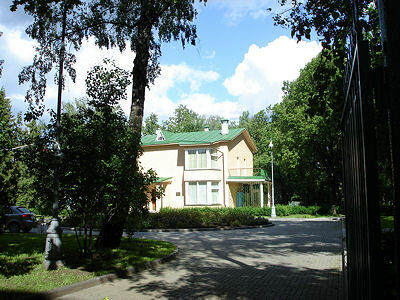 Korolev's house at 1-Ostankhinskaya Ulitsa, d. 28, now a musuem. 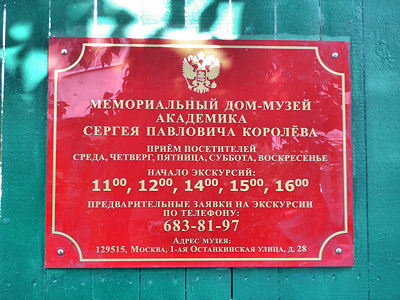 Opening hours and phone number. 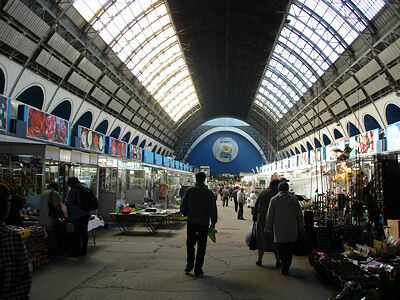 Inside there is now a flower and garden market.